Related content is a powerful way to interconnect and promote specific content to your users based on where they are on your site. Link products to your blog posts and show in a carousel to upsell and further engage your readers. This plugin gives you to tools to increase the content marketing on your site through a related posts/pages/products carousel. 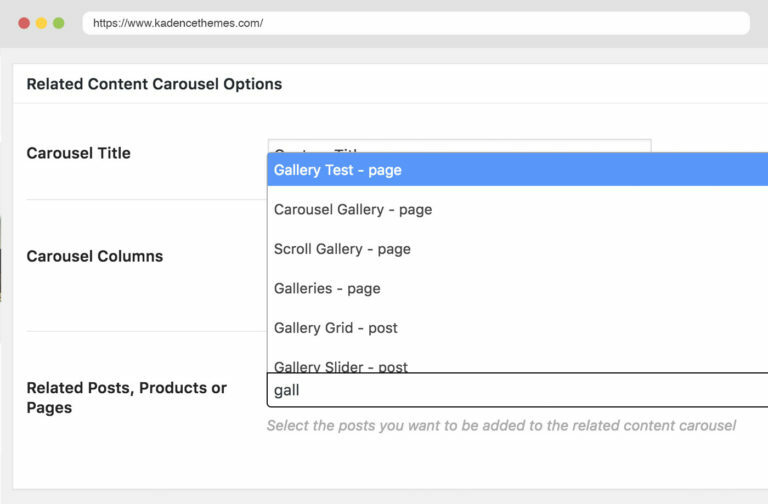 Now you can write a post about a specific product and link that product to your post to show in a beautiful carousel. 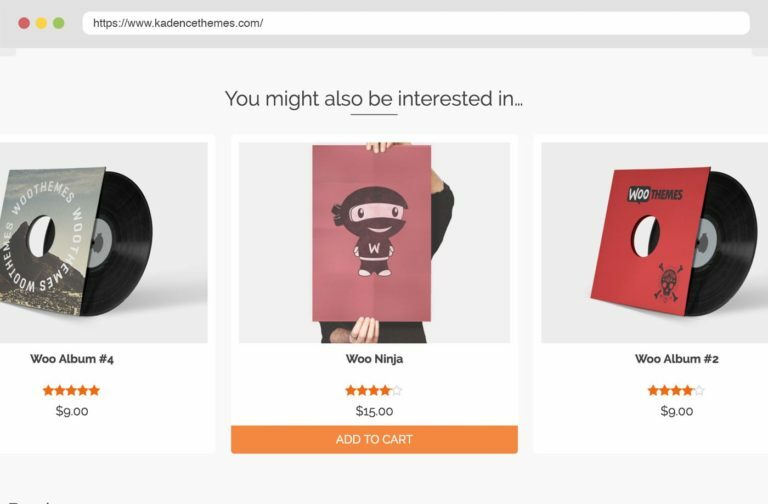 Select, order and define the exact content that you want to entice your readers with to further investigate or connect with your site. 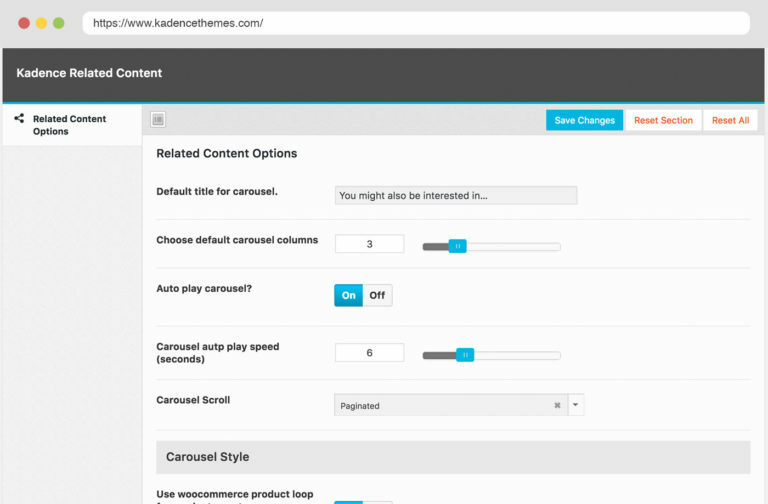 With Kadence Related Content you can choose to show just the image and title or excerpt, post-type, post date and more. You control it all in your plugin settings.